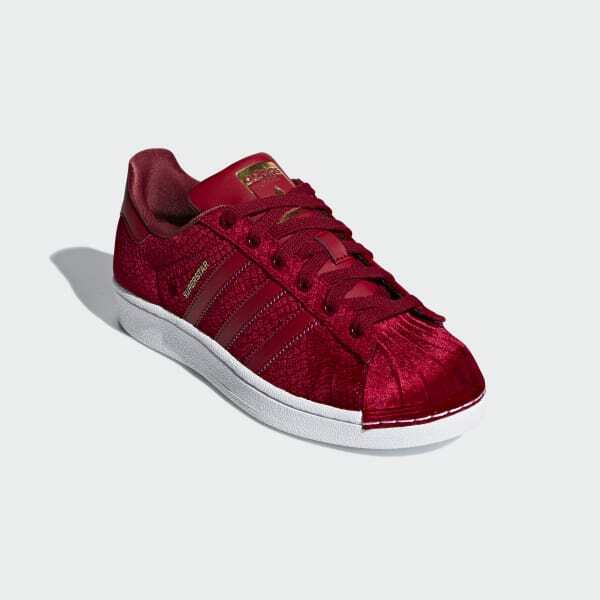 An adidas Superstar shoe that's dressed from top to toe in luxe velvet. The iconic trainer with the shell-toe design first started turning heads in the '70s. These shoes take a luxe turn by pairing a velvet shell toe with a textured velvet upper.